My friend Mike from Canada came through town. We met in Mongolia 1.5 years before! 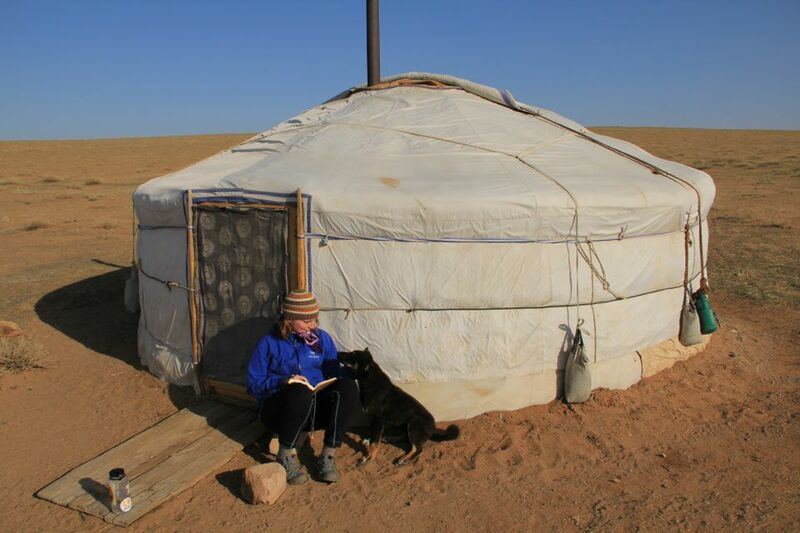 You can read about our adventures in my Gobi Desert posts. The holiday season has arrived! Christmas lights are popping up all over the city, outdoor ice skating rinks are open, and I can hear the distant sound of holiday music as I walk through downtown Minneapolis. It is a welcoming sound and I look forward for this upcoming Christmas because all of my family will be in town! Well, the month of November has been a good month and this is why. First of all, I am officially a published and paid writer. Those 65 articles I wrote for RootsRated are finally published and you can find them all here. I couldn’t of done it alone. I am thankful to my family and friends who helped me through the process, especially with editing some of my articles. Thank you, everyone! I’m taking a break from writing and now I am the photo editor for RootsRated. I miss writing a little bit, but being a photo editor has its perks. I like the communication aspect. I’ve been in contact with dozens of parks and photographers all over the United States. It’s been fun hearing their stories and knowing what people are up to across the country. I’m hopeful about this site. I personally think it is a great idea and I believe it has the capability of becoming an everyday tool for the outdoor enthusiast. Another highlight (although this was technically in late October), my friend Mike was road tripping across the USA and he decided to stop by Minneapolis! (The top picture is of us at a small breakfast diner in Hopkins). We met in Mongolia 1.5 years before while I was on my big trip. Him and 3 Swedes invited me to join them on a road trip across southern/central Mongolia to see the Gobi Desert. On a whim, I decided to join them and then spent in total 10 days in a cramped car with them. It was an unforgettable experience and it was nice to reminisce with Mike while he was in town. It is crazy to think that it has already been one and a half years since I was eating hosher and hiking through the Mongolian Steppe. Another highlight of November was hanging out with even more great people. I’m apart of the Friends of the Robert’s Bird Sanctuary group and I often get invited to pull buckthorn at local parks throughout MSP. I try to get out at least a few times a season to help out. It always amazes me how many people show up to pull. It’s hard work and you need a determined bunch of volunteers to get the job done! In the picture above, we pulled at William Berry Park. If you want to get involved for the next season, I know most of the parks have mustard pulls in the Spring. 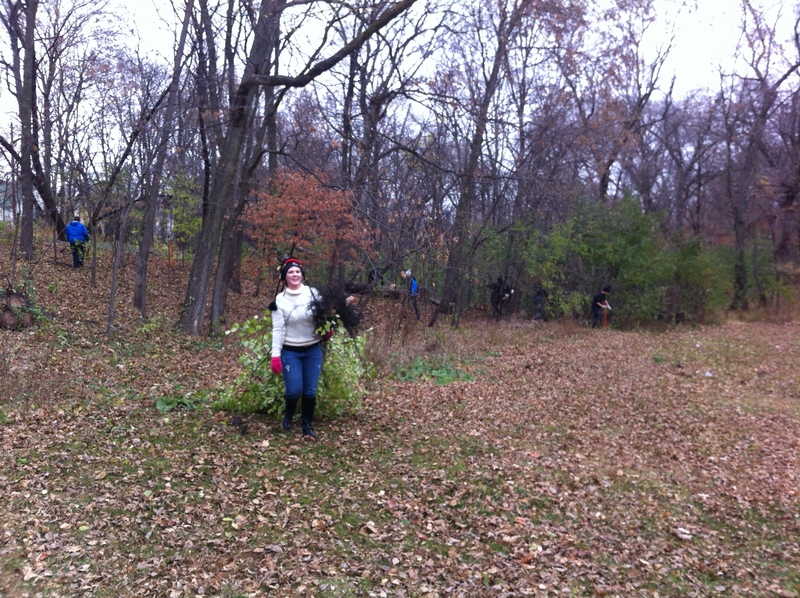 Buckthorn is very invasive in Minnesota, so I spent a chilly fall afternoon picking it with a group of people. Lastly, a few friends and I went to the Minneapolis Holidazzle Village (Holiday Market), which is situated in downtown Minneapolis (just across the street from Brit’s Pub). It’s a European style open-air market and a definite must-see if you’re visiting MSP this upcoming winter. 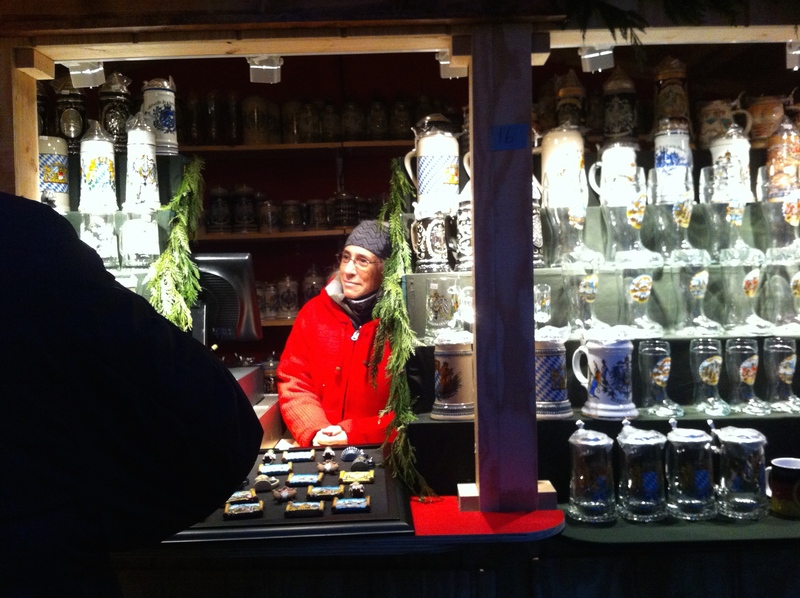 There are a bunch of sellers with a variety of merchandise, such as knit goods, Christmas trinkets, mulled wine, and tasty bratwursts! It was nice to see so many people out on a chilly December day. Twin Citizens are a rugged folk. Well, I’ll end my post here, but I’ll be writing soon because I have even more good news to share about my first couple weeks of December.